From Friday 19 – 21 October 2018, The Vodafone GC600 revs onto the streets of Main Beach and Surfers Paradise. If you’re travelling to and from the Vodafone GC600 this October, jump on board, because we will be running extra services to get you to and from the event. When planning your travel, remember the event is accessible from Main Beach and Surfers Paradise North stations. Extra services on Saturday will see us run every 7.5 minutes from 8am to 4pm, every 6.5 minutes from 4pm to 7:30pm and every 7.5 minutes from 7:30pm to 11:30pm. Extra services on Sunday will see us run every 7.5 minutes from 8am to 6:30pm. There will be crowds, so plan both your ticketing and group movements with that in mind. For those who are already in possession of their Vodafone GC600 ticket you may travel on the G: for free. 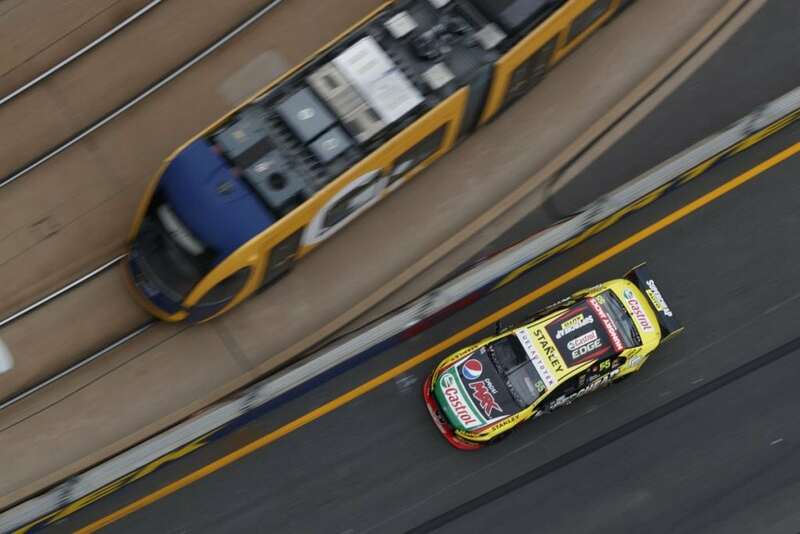 Please make sure you are holding your Vodafone GC600 entry ticket to receive free transport with the tram. If you are unsure whether this applies to you, call TransLink on 13 12 30. For those who aren’t in possession of their Vodafone GC600 ticket, you must purchase a ticket before travelling on the G:, either using a go card, or by purchasing a paper ticket at the station. On Saturday 20 October, 92.5 Gold FM will be presenting a line-up of entertainment at the Broadwater Sounds concert as part of the Vodafone Gold Coast 600. For those attending the concert we have extra tram services running to get you home again. The best station to access the concert is Broadwater Parklands or Southport station. If you’re travelling from Brisbane why not catch the train and transfer to the tram at Helensvale. Or if you prefer to drive why not park the car at the Parkwood Park ‘n’ Ride and catch the tram from Parkwood station, which is only a short walk across the pedestrian bridge. Travel safe and stay hydrated in the Queensland sun. Water fountains are available on every station.